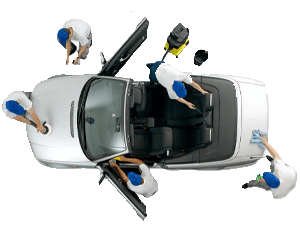 Top London Domestic Cleaners is a professional cleaning company that offers specialist mobile car valeting for car owners in Central London and Greater London and surrounding cities. We are happy to drive to your home and wash your car to perfection and save you time for better and more enjoyable leisure. A car owner’s responsibility to his car doesn’t stop at getting fully paid and insured; in fact, this is only the start. You will also have to keep it maintained in terms of workability and cleanliness. If you don’t want to involve yourself in any vehicular accidents, it’s essential to keep your set of wheels clean on the inside and the outside. But reality-based, not all car owners are capable of doing it. Some are too busy with their work that they end up setting aside, no time for car maintenance. This is where professional cleaning companies enter the picture. Because the demand for such services continues to rise, so does the mobile car valeting services. It’s indeed ideal to contact these businesses if you don’t have time to deal with your wheels’ overall health – yes, cars also have health. These companies encompass skilled valeters that perform diversified tasks under car valeting. It’s wise to consider a company with a good dose of positive reviews, affordable service rates and proven track record. Top London Domestic Cleaners is only one of these corporations. We’ve been serving people of London for many years now and although we started at domestic or home cleaning, it didn’t take long before we ventured into mobile car valeting as well. We know that many people around need quality and affordable service and that’s why we’re here. Our company provides an array of services for your cars and car wash is one of it. We also have add-on tasks you may want for extra car pampering. Our workers and cleaners are all experts. They have the essential skills and knowledge to perform well. They equally underwent company-initiated trainings to ensure they’re fit for the job. Our rates are pretty straightforward. We offer reasonably priced services and there are no hidden costs involved. Our workers are fully insured, sparing you from sudden charges which may be caused by accidents. We use high quality cleaning machines and equipments. Our company has a special team that handles all the checking tasks for these equipments and machines. This is to ensure we use only effective equipments to clean without compromising your car’s health and quality. We cater different clients equally – whether your car is for family or commercial use. Due to our dedication to provide quality service, we’ve come up with other tasks involving cars which you may like. Here are some add-on services for your vehicle. With these services and more, you have all the reasons to call Top London Domestic Cleaners! Reach us now at 020 3322 8143 and our customer service agents will be glad to help you out. Feel free to ask assistance for booking a service, inquiring about the company, our services and our cleaning rates, or if you have any questions in mind. Please note that our customer service agents work round-the-clock. Grab the phone and ask our professional sales assistants for our special deals on 020 3322 8143 or Email us.